Tatu’s little brother, Maulidi, has become difficult. He throws rocks, he cries, he bites, he refuses to do his chores. Tatu wants her brother to be happy again, but no matter what she tries, Maulidi doesn’t change. 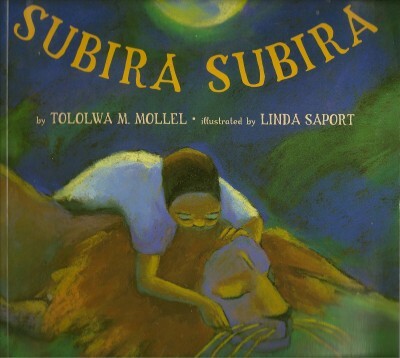 Then an old spirit woman tells Tatu that to cure Maulidi she must pluck three whiskers from a lion. Tatu is terrified! But she wants to help her brother, and so, armed with only a song, she sets out into the moonlit night to undertake her impossible task. In this delightful retelling of a traditional folk tale, Tololwa Mollel deftly introduces an element of magic into a contemporary Tanzanian setting to reveal the taming powers of patience, love, courage and song. But the very next morning, after Father paddled away on his rusty old bicycle, trouble started. A subtle message, which avoids didacticism through the simplicity of its language and the power of its illustrations.